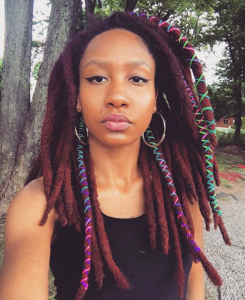 Are you ready to take your locs to the next level, but not quite ready for color?! 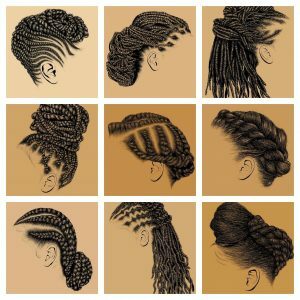 I know the thought of coloring and/or bleaching your locs may seem very scary (not to mention full of hardwork), but you have so many other options to have fun with your locs. 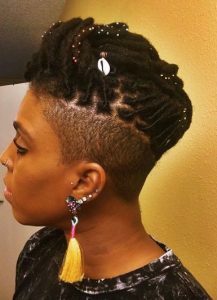 Check out these simple adornments that don’t require a professional (or lots of care), but add A LOT of personality to your locs! 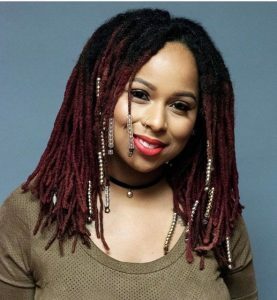 A few of the ways that you can have fun with your locs without adding color involve loc jewelry, hair sprinkles, hair color spray, yarn wrapping, and pony beads. 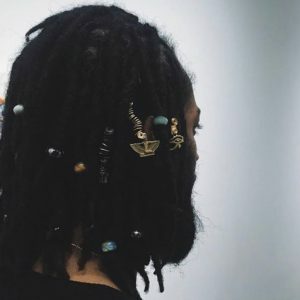 Loc Jewelry is always a fun way to jazz up your locs by showcasing your favorite charms and gemstones. 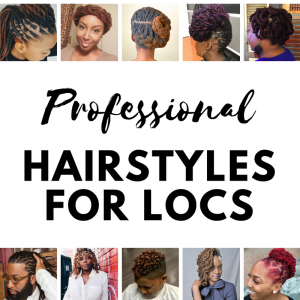 But if you’ve never worn loc jewelry before, be sure to check out the tips I shared about preventing damage when you wear loc jewelry. Solange isn’t the only one that can wear a head full of beads. 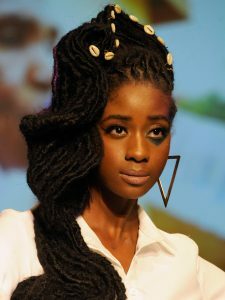 Rockin’ hair beads in your locs is definitely a fun accent to try— especially using gold beads (thank me later!). 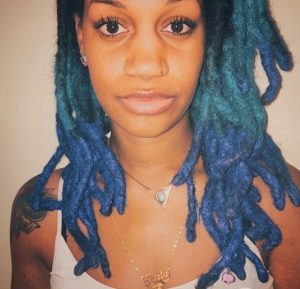 Using temporary hair spray on your locs is like trying on the color before committing to the real thing, but I will warn you— it can get trapped in your locs (remember that one time I tried the liquid hair chalk?!). These are definitely my latest obsession—inspired by @Hydra.Divine— the thread wraps give a cultural vibe to your locs; and the thread for wrapping locs comes in an endless array of colors. 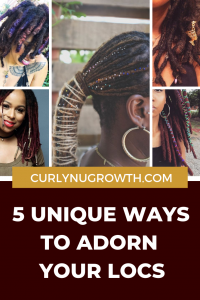 These semi-precious beads are one of the most unique accents that you can add to your locs that will definitely have people stopping you and asking questions! Leave a comment and let me know what fun adornment you’re going to try next! Check out this article about itchy scalp, “How to Relieve Itchy Scalp After Working Out“, the tips do not only apply when exercising. Hello can you tell me more about inter locking pros and cons, I have tried both. You can learn more about interlocking in this article, “Palm-Rolling vs. Interlocking: Which is Best?“. I like what you said about hair beads and how it’s a fun accent to try. I think that accessorizing is a great way for people to reveal personality through clothing. I have a friend with dreadlocks, so I’ll recommend the idea of getting beads to put in from a reputable supplier. I am interested in becoming a loctician in Texas. How can I go about doing that. Congratulations on choosing a passion for a career path! If you are interested in becoming a Certified Loctician that specializes in Holistic Hair Locking practices I have an upcoming training in March, which you can learn more by clicking here. Alternatively, you can visit salons locally and seek a mentor that shares the same philosophies as you. Thank you. Unfortunately I have a prior engagement in that weekend. But I will contact salons locall. Thank you so much for your response.